Dina Meyer, Lochlyn Munro, Mackenzie Gray et al. Late one night Robert Parr (Lochlyn Munro) receives an urgent phone call, explaining that his father had been the victim of a grisly murder. The murderer: a returned Pharoah, the mythical guardian of Egypt's ancient secrets. Robert immediately leaps into action, discovering an ancient etching of the cipher stone from the Pyramid Sphinx of Giza. The stone was believed to be destroyed in 10,500 B.C. when the pyramid war between two Egyptian clans ended in the sealing of a secret chamber beneath the Sphinx. Robert has no choice but to connect with his hidden past; reinstating himself in a clandestine government agency he left behind in order to be with Karen (Emily Tennant) his daughter. They quickly find themselves en route to Cairo joined by government liaison, Jessica Thrace (Dina Meyer), and backed by an armed strike team. 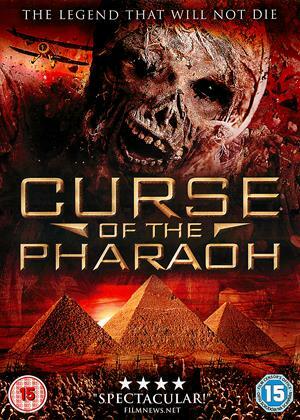 Pitted against the deadly 'Pharoah of the Sphinx' in a battle of mind and body, Robert, Karen and Jessica must decode seven riddles in order to unlock the hidden secrets of the chamber and save humanity from extinction.